Blakes of Sydney is one of Australia's leading renovation brokers specialising in bespoke kitchens, bathrooms and joinery. For each project, our mission is simple – to design amazing spaces and connect you with Renovation Experts that will bring your renovation dream to a reality. We connect you with quality and reliable renovation experts, from builders and joiners to interior designers and draftsman. Whoever you need for your renovation, we can connect you. By using us to source, compare and negotiate quotes on your behalf, you are guaranteed to save time and money, while also giving you peace of mind that an expert is in control. Nouvelle, Licence # 131536C, brings you unique and outstanding kitchen renovations. Well-known for individual and award-winning designs in kitchens and bathrooms, Nouvelle can also assist you with bespoke joinery for renovating your study, bedrooms, laundry and other living areas. We have showrooms in Willoughby and Pennant Hills. We are fully insured and licenced - Client Security warning: ONLY work with licenced and insured companies - ALWAYS ask to see their current licence Nouvelle’s Mission Statement of “Vision in Design, Excellence in Manufacture, Passion in Customer Satisfaction” ensures you’ll receive a design that enhances the look of your home, is brilliant in its ability to balance creativity and functionality, and is built by experienced tradespeople using the best possible materials. You’ll also discover Nouvelle’s commitment to giving you the kitchen, bathroom or other room you’ve always dreamed of without compromise. Our passion is helping others realise theirs. We’d be delighted to help you. Whether you’re an individual, couple, or large family it’s the vision at Freedom Kitchens to meet the needs of every contemporary lifestyle. 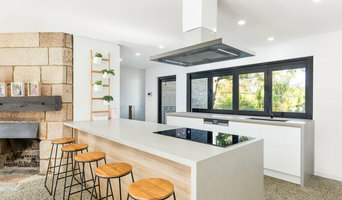 With 30+ years’ experience in the business, Freedom Kitchens now has over 30 showrooms throughout NSW, VIC, QLD and the ACT, and offers stylish, flexible designs, superb quality construction and finishes, and the highest reputation for meeting Australian standards of excellence. Manufacturing its own products locally has been central to Freedom Kitchens’ long-term success. They are committed to researching the in international trends and kitchen innovations as well investing in the latest technology and machinery. This allows them to test and introduce new products and new colours and bring these quickly to market. Freedom Kitchens goes further to extend the life of your kitchen. Not only do they partner with the best in the business like Caeasarstone and Hettich, all cabinets, laminated benchtops and doors are manufactured and assembled locally for maximum strength and durability. It’s the little things like adjustable hinges for pinpoint accuracy and anti-slam buffers for extra protection that make them stand out from the rest. From classic to contemporary, Freedom Kitchens offers a wide selection of colours and finishes to suit any budget. In addition to their extensive choice of kitchen components and storage solutions, they can also assist you with professional design, storage ideas and finance options. A name synonymous with reliability and style, Freedom Kitchens meets the Australian and international standard of cabinet construction and is AFRDI approved (Australian Furniture, Research and Development Institute). Standing by their products, all kitchens come with a 7 year manufacturer’s warranty. You can be sure you’re getting the finest solution with Freedom Kitchens. It's why they are the leader in the kitchen industry. The New & Better Way To Renovate. THE RENOVATION BROKER are award winning experts who will help you realize your dream kitchen for the very best quality and price. We will not save you hundreds we will save you thousands. The Renovation Broker will design your space, choose your finishes and help you find an experienced kitchen manufacturer that will best fit your needs in quality and budget. 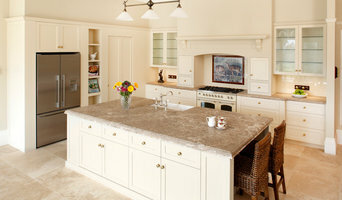 Provincial Kitchens is a bespoke kitchen design company. We are committed to building exquisite kitchens, bathrooms and interiors that create visually inspired living spaces designed to stand the test of time. Provincial Kitchens was conceived by founder Dominique McAdam’s desire to create stunning hand crafted kitchens. Dom realised none of the large commercial manufacturers were interested in making the hand painted kitchens that have become the hallmark of her style. In 2005, Dominique seized the opportunity to turn her passion and dreams into reality and established her own company. With the help of her dedicated team, she has designed and built hundreds of distinctive and award-winning kitchens. At Provincial Kitchens, we are passionate about creating beautiful kitchens that draw your family and friends to what is the centre of your home – the place where memories are made and stories shared. We strive to encourage a design process that is enjoyable and rewarding for the client. Our philosophy is that every project is a creative partnership, and we are dedicated to ensuring that the client feels included in the design process and enjoys the experience from concept to completion. Provincial Kitchen’s mission is: • to craft one-off statement kitchens • to use only the best artisans in the business • to obsess over the smallest detail • to strike the balance between functional solutions and aesthetic design The Provincial studio is a place that inspires creativity and nurtures the unique. There is never an idea that is too challenging. There is often music. There is always laughter. We guarantee there will be lots of talk about kitchens, as we build and celebrate lasting and enduring relationships with our clients. Be Inspired Kitchens is Sutherland & St George's custom kitchen design and installation specialists. We began in 2014 with a plan to deliver perfectly designer kitchens for all levels of renovation. We set out to provide firstly, the best design for the individual followed up by a paramount service from start to finish. 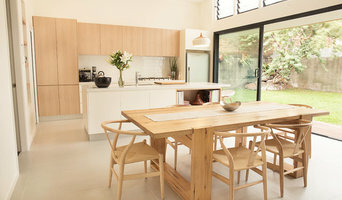 We understand the enormity of the task for people when it comes to renovating and the emotional connection people have to their dream homes and dream kitchens. We will guide you every step of the way from start to finish, you will never be "unsure" of what is happening next and the cost of each stage. Your home is our home until we hand over your perfect project. We are committed without compromise to design, deliver and install your DREAM kitchen. At Be Inspire Kitchens - YOUR inspiration is OUR creation. Living Edge Kitchens provides outstanding service for the design, planning, manufacturing and installation, all completed to your satisfaction. We are a family owned business and have been in the building industry for over 20 years specialising in individual Kitchens/Bathrooms, as well as complete Kitchen, Bathroom, Laundry and Joinery projects. Our jobs are completed with minimum fuss and your satisfaction is guaranteed. We offer the very best in service and craftsmanship. Family owned and operated since 1968, Apollo Kitchens has grown to become one of Australia’s leading kitchen design and manufacture companies. With a reputation built on innovative and flexible design, expert craftsmanship and exceptional service, we’ve become the kitchen company of choice for countless home-owners, interior designers, builders and commercial developers. Using state-of-the-art facilities and software, our kitchens are designed, manufactured and installed to the highest standards. Furthermore, our progressive in-house design team can offer you the very latest in trends from around the world. Quite simply, if you’re looking for the ultimate kitchen solution for your residential or commercial needs, look no further than Apollo Kitchens. 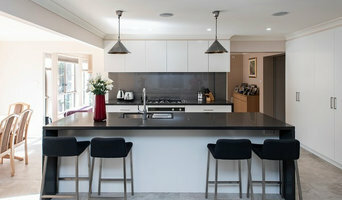 Andrew Dee @ Wonderful Kitchens" Willoughby"
Founded on over 25 years industry experience in kitchen design, kitchen renovations and production, Premier Kitchens are on the leading edge of modern kitchen manufacture. Our custom made materials are sourced from Australia & Europe and manufactured in Sydney. All finishes and fittings are hand-selected by our experienced team and backed by a 10 year warranty. Reputable brands such as Caroma, Clark, Caesarstone, Quantum Quartz, Smartstone, Silestone & Blum. Strongly influenced by their Danish heritage, Dan Kitchens Australia designs and builds luxury kitchens for customers in Sydney and surrounding areas. A Dan Kitchen is like no other; with every detail well thought out and every piece meticulously crafted. Built this way, a Dan Kitchen will endure the passing of time in style, functionality and durability. They are one of a handful of kitchen companies that still makes it's own product. A visit to the Dan Kitchens showroom would not be complete without also seeing where they produce their work in the adjoining factory. Best known for their Modern and Scandinavian style joinery, Dan Kitchens are equally skilled at designing in contemporary, Hamptons, transitional and shaker styles - as evidenced by their Projects on Houzz. Discover the difference – see their Houzz projects or for a closer look at what Dan Kitchens can do, explore the two floor showroom in person. You will not be disappointed. Kitchen Makeovers. Don't Replace It, Reface It! Granite Transformations The Kitchen and Bathroom Makeover Specialits Don't Replace it, Just Reface it ! At Granite Transformations, our fully accredited installers can alter the look and feel of your kitchen in as little as a day, without the hassle and expense associated with a complete demolition. Granite Transformations are the exclusive distributors of Trend Surfaces, which are designed to be laid directly over existing kitchen surfaces or installed as part of a new kitchen, bathroom or laundry. Trend Surfaces combine the world’s finest granites, quartz and polymer technology to create a brilliantly engineered stone surface that’s only 6.5mm thick and is ideal for a range of applications including benchtops, splashbacks, kickplates, vanities, shower recesses, floors and even furniture, including dining tables. Product characteristics include: Extensive range of colours Heat, scratch, stain and impact resistant Extremely hygienic Maintenance free with no grout to clean Durable and functional Best of all most benchtops can be installed in 1-2 days! An established family business, Wonderful Kitchens is backed by over thirty years experience. We are recognised within the industry as possessing the know how to custom design a kitchen to suit the customers personal tastes, budget and lifestyle needs. Our company has expanded over the years due mainly to the recommendations of our many satisfied customers. GSP Designer Kitchens and Bathrooms is a family owned business with over 50 years combined experience. The GSP team are located in the Sutherland Shire, but service all areas of greater Sydney, the Central Coast, Southern Highlands and Wollongong. Whether you’re looking for that something a little special or just need some quality advice, you will find our professional, knowledgeable and friendly staff a pleasure to deal with. We are a hardworking and dedicated team that delivers excellence in customer service and uncompromised quality in both products and workmanship. OUR PROCESS INITIAL CONSULTATION All GSP projects begin with a free, no obligation measure and quote at your home to determine your requirements. We will work with you to develop ideas that suit your needs, your lifestyle and budget. Our extensive industry experience and skills will ensure we can achieve your dream kitchen or bathroom. DESIGN Once our design consultant has measured your room and has a clear understanding of your requirements we will create your design. Using the latest 3D modelling technology, we can give you a realistic view of your new room. QUOTE Our experienced team of designers can quote your renovation project for you; obligation free. If you choose to go ahead with our quote, we will send you an invoice for a deposit and confirm with you all the technical details and finishes. We will complete a final site measure and confirm your choice of appliances before construction begins. INSTALLATION Our team of licensed tradespeople can remove and dispose of your old kitchen or bathroom cabinetry, appliances and other accessories. We will then organise and prepare any necessary plumbing and electrical work prior to the installation of your new cabinets. Once the cabinets have been installed we will arrange for the installation and hook up of your new appliances, followed by the manufacture and installation of your bench tops. Vilken hjälp går att få när det kommer till köksdesign? Idag finns det företag inom köksdesign och renovering i Waterloo som kan hjälpa dig med allt från att renovera kök och byta köksluckor till att köpa ett helt nytt kök. Har man en begränsad budget kan det vara svårt att själv planera ett kök och samtidigt få in allt som krävs. Tar man däremot hjälp av ett företag får man hjälp med att hitta billiga kök och som innehåller allt. För att skapa ett komplett men billigt kök krävs det egentligen bara lite mer planering och struktur. Man bör fundera över hur mycket hjälp man behöver med designen. Ska man satsa på nya köksluckor kan det räcka med att besöka en butik och få direkt hjälp. Ska man däremot bygga ett komplett kök bör man be om rådgivning i hemmet. På så vis får man en mer exakt bild av vad som behövs göras. Lite beroende på hur ens hem ser ut kan det också krävas olika typer av lösningar, ett platsbyggt kök kan göra sig otroligt bra i mångas hem. Dessutom ska vi inte sticka under stol med att ett specialdesignat kök ofta är något som man blir väldigt nöjd med. Dels passar det ens planlösning på ett alldeles ypperligt vis eftersom det är designat utefter det, men också så passar det ens tycke och smak, eftersom man kunnat tycka till genom hela processen! Har man själv gjort designen så kan man få hjälp med att montera sitt kök. Hjälp finns alltid att få, det gäller bara att komma fram till vilken typ av hjälp man behöver när man ska bygga om sitt kök. Vad ska man tänka på när man ska renovera sitt kök billigt? Om man ska göra större förändringar och behöver extra hjälp så bör man budgetera för detta så att kostnaderna inte springer iväg. Många har nog varit med om att de gör just det när man renoverar köket. Något som ofta beror på att man helt enkelt inte gjorde en budget! Pris och kostnad på kök kan variera, och vet man vad man vill betala blir allt oftast enklare. Man bör även alltid diskutera design och val av material med personen man anlitar. På så vis kan man tillsammans komma fram till om det räcker med en lackering av köket eller om man behöver renovera flera delar av köket för att det ska kännas nytt och fräscht. Helt nya kök behöver nödvändigtvis inte alltid vara lösningen. Låt en kökssäljare i Waterloo, NSW, AU ge dig tips och råd för att hålla budget samtidigt som köket får den känsla och form som eftersträvas. Om det är någon som har koll på vilka olika typer av kökslösningar som det faktiskt finns så är det ju just köksförsäljare och kökstillverkare. Mer expert på kök än så kan man inte riktigt bli, så hitta någon med rätt stil och hör av dig! -	Nya bänkskivor! Lite beroende på hur din köksbänk ser ut idag så finns det många olika anledningar till att byta ut dem. Att riva ut hela köket behövs inte alltid, utan varför inte anlita någon för hjälp att fästa nya köksluckor och montera nya köksbänkar? Har du tidigare haft ett material som inte tål allt för mycket kan det verkligen vara en välkommen förändring, och se till att välja ett material som håller sig snyggt år efter år. Ut med ömtålig marmor och in med rostfritt, kanske!? -	Vi snuddade nyss vid ämnet, men låt oss gå in lite närmare på det, nämligen köksluckor! Om man har en köksstomme som man i grunden gillar och tycker rymmer allt som man behöver så finns det inte alltid behov för att riva ut det. Varför inte kika lite närmare på köksluckor? Det finns många olika företag som erbjuder snygga luckor som passar olika typer av kök, kanske inte minst ett klassiskt IKEA-kök. Kika runt och se vilka som gör luckor som passar din stil! - Förutom lite mer självklara delar av köket som exempelvis bänkskivor och köksluckor som vi nyss nämnde, så finns det också en annan förhållandevis liten sak som kan spela stor roll. Nämligen blandaren! Inte bara funktionerna av den, och om man till exempel väljer att ha en blandare med en funktion med kokande vatten, utan också rent stilmässigt. Det finns många bra företag som tillverkar köksblandare så om du är intresserad av att ändra den här delen av ditt kök, så ska det inte vara några problem alls! -	Varför målar du inte om? Ett nymålat kök kan verkligen bli ett helt nytt rum, och behöver varken ta så lång tid eller kosta allt för mycket. Anlita någon som målar om väggar, och kanske luckorna, och vips har du ett nytt kök! Är du riktigt järv kan du även fundera på att kanske måla om innertaket eller till och med golvet. Upp med nya gardiner, lite nya kökshanddukar och en ny tavla så har du verkligen fått ett helt nytt kök! Varför inte kika på blå färger? Vi hoppas att vi har lyckats inspirera lite åtminstone, och att du kommer kunna hitta en köksexpert i Waterloo, NSW, AU som verkligen kan fullfölja dina drömmar, oavsett om du behöver ett byggföretag som jobbar med kök eller en inredare för att få till rätt känsla. Lycka till säger vi, och glöm inte att vi finns här för att hjälpa dig under vägens gång om du behöver oss!